There there Aster. I have also been working on my relic. Got 51 alexandrites now. GREAT NEWS EVERYONE. I finally got my Novus. Got the last Alexandrite thanks to Senor Musashi, Sapphy, El and many random peoples. We did Hunts that no one was doing at the time. Over the past few days I have been doing fates and dungeons to help other people. But now I can do whatever I want at whatever pace I please. I am very happy right now. Congrats Micaiah! Now you get to do the light grind, begin the following..
Oh I don't mind. I can do that at my own pace. Just do my roulettes, CT, ST, WoD, help others and continue to earn more seals for no reason. blm novus got done, and the light grind is underway... almost 20% done. 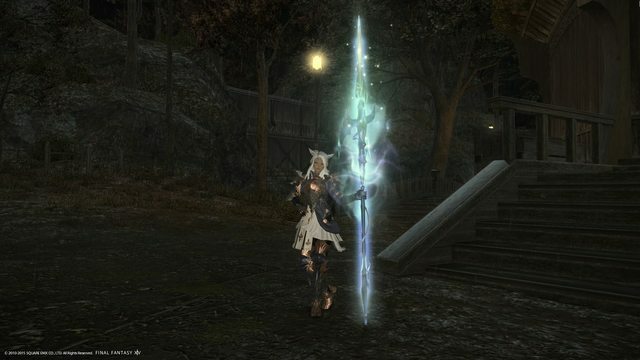 The light grind consists of running roulettes, dungeons for zodiac drops, etc... so not too much of that grindy feeling. The plan is to keep plugging forward with blm relic, and to push forward in getting crafter lucis tools. Inching closer to finishing my lightfarm to Nexus on my relic, probably need about 450-500 more light and I'm there. Crafting went big, I'm geared in artisan's stuff and have my Supra on weaver. Feels great, but my wallet is crying. Yesterday, finally 50'd Warrior, and by god its working well. All i can remember though. Today, took nearly all day, but i got both my Stardust Rod and Bravura Zenith. Also tried to farm ST for tomes and black mage gear, but a fit of errors after a DC subsequently dissuaded me from continuing. It's been another fantastic week in Eorzea. I am now the very proud and happy owner of a bluebird earring. It's so very tiny but I love it. I won it in the Valentione's contest. Here's a picture of it, hard to get a good shot with as tiny as it is. I also finished my animus books for dragoon. Should only be another week until it becomes Novus. I have to say that dragoon is not my favorite class so I doubt I'll be playing it much beyond Novus. The class I'm really loving is ninja. 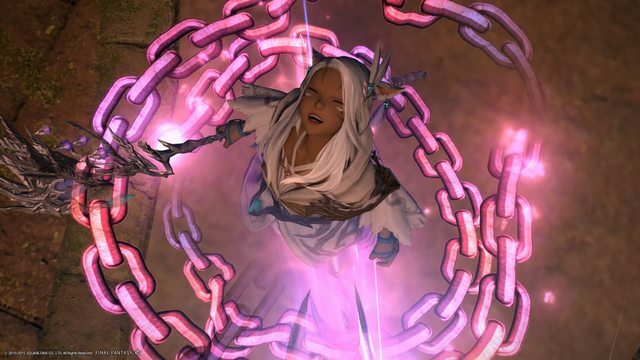 The zodiac drops are going really well; can't wait to have my Sasuke's Blades and eventually zeta for that. Lastly, Triple Triad cards and the endless dungeons runs for the rare ones. I have 3 drops left and am getting tired of Greg chaining me up! Just drop the card and we can end this little game Greg! So since I got my novus I have been doing light among other things. Got to faint activity, crafted some armor for friends at 15 and 20, ran some dungeons and trials with said friends, bought almost all the poetic healing gear except the belt. Been a good day apart from all that. Soon I got to study for a test tomorrow. Yesterday I took a time-out from the main objectives to ice the story. Otherwise blm relic is progressing, sitting a little over 800 lights with 3 dungeon drops left for zodiac. 3 craft classes have supra tools, 2 of which have the master book 2 done as well. Tomorrow I start gathering up stuff for the lucis tools. got me over 700 fleece total. After that we began to mess around and thought...what if the Goldsmith could limit break? So we built up one to attempt it and then...it didn't so afterwards we all went crafters beating up the karakuls. It was great! It has been another awesome week in Eorzea. I finished my 4th Zeta and I have to say, I love my new blades. Then I got monk to 50 and with all the WoD drops I was instantly item level 114. This leaves me with 2 classes to go and over 2 months to get them to 50. Speaking of WoD, today I finally got my Bard chest piece (with a need roll of 1, we had another bard in the party that didn't have it but didn't roll on it). And lastly, card success; after playing Tartaru daily since the patch, she finally dropped the LIghtning card. She is probably the most irritating npc to play now, fortunately I won't have to play her again. And from the tournament, one of my platinum prize packs had Lahabrea, so no need to ever buy silver packs now. I love the changes they made to the tournaments, makes them worth playing. I hope all of you are having fun and accomplishing your goals. Let's hope this Saturday's live letter gives us much more to be excited about! Last couple of weeks i've been working towards the end of the storyline. Currently at the keeper of the lake. Sadly I wont be doing this just yet. Will probably take a break for a couple of days. 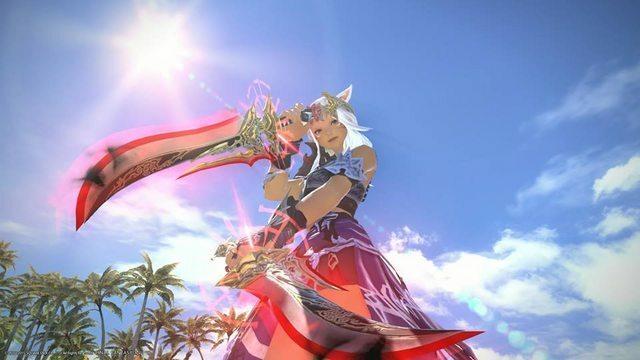 Also, Milona crafted me a awesome weapon for my BLM Thanks a lot Milona. After i come back, maybe i'll start on crafting some more as well. My GSM is almost to lvl 50 and my CRP and LTW is getting higher up there. Though i should really start on my weaver so i can actually bind Materia IV's on my gear for my other crafting and gathering classes.